A white elephant is something that cost a lot of money to create and is very expensive to maintain – it is totally unprofitable and is likely to remain so. The term ‘white elephant’ may refer to: 1. Something unprofitable that cost a lot to create. 2. Something unprofitable that is expensive to maintain. 3. A combination of both numbers 1 and 2. If a business becomes a white elephant, it means that it cannot turn a profit because it is too expensive to operate and maintain. In the world of business and finance, nobody wants to purchase or own a business, or anything for that matter, that is considered to be a white elephant. In ancient times in Siam (called Thailand since 1949) and some other Asian nations, albino elephants were regarded as holy. Albino elephants are completely white. Keeping an albino elephant – a white elephant – was extremely expensive; it required a special diet, could not work, and everybody wanted to worship it. When the King of Siam disliked one of his subordinates, he would burden him or her with a white elephant. In many cases, the gift would ruin the recipient. The term ‘white elephant’ in the West, relating to something that is expensive, unprofitable, and fails to meet expectations, dates back to the 1600s, and became a common expression by the 1800s. Today, in the English language, the term is commonly used by politicians in opposition (those not in power) to criticize ambitious and controversial architectural ‘grand projects’ which many fear will cost a great deal of money and bring disappointing benefits. Many of the construction projects undertaken by cities and countries that have hosted grand sporting events, such as the Olympics or the FIFA World Cup, have been criticized by politicians, newspapers and the local populations for creating white elephants. In the Summer of 1964, British Prime Minister Alec Douglas-Hume received a memo from a Cabinet Office civil servant informing him that the Anglo-French project to develop the Concorde supersonic passenger aircraft was spiraling out of control. This was five years before the aircraft’s maiden flight. According to the civil servant, the project was set to cost more than two Channel Tunnels. “There were always doubts about this project,” the civil servant wrote. The UK’s state airline BOAC, which had previously been saddled with an unprofitable aircraft, did not want another one, the memo added. In a BBC News Online article, published in October 2003, Business Reporter James Arnold wrote that it was a pity that nobody listened. In 1962, Concorde was projected to cost approximately £160 million, which is about £2 billion ($2.6 billion) in today’s money. By 1975, one year before the aircraft’s commercial launch, at least £11 billion in today’s money had been spent. Apart from a few rock stars and ultra-patriotic well off Britons, the majority of first-class passengers were put off by the cramped conditions and exorbitant prices. At the time, you could fly first class across the Atlantic and back for £3,000 on a Jumbo Jet, while a Concorde ticket would set you back at least £8,000. 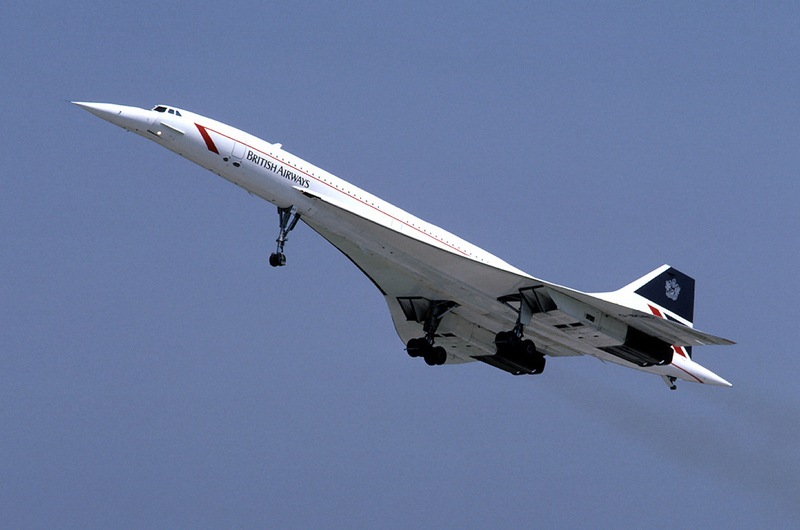 As far as British and French economists are concerned, Concorde was a giant white elephant. Not one aircraft was ever commercially sold! – Ryugyong Hotel: in Pyongyang, North Korea. It is a 105-floor unfinished skyscraper. Construction began in 1987. It has been planned as a mixed-use development, which will include a luxury hotel. The building boasts 3,000 rooms, which is approximately the total number of western tourists that visit North Korea each year. Several inauguration dates have been announced over the past twenty years – all of them have been cancelled. – Brasilia: this is an example of a whole city white elephant. The city was built in the interior of Brazil, the aim being to help develop that part of the country. The problem is that all the embassies, government buildings, agencies, etc. are located hundreds of miles from the country’s main centers of industry and population. At weekends, those who can afford it vote with their feet and head for Rio de Janeiro or São Paulo. – Empire State Building: who would believe that an icon of New York could be a white elephant! The building was planned during the 1920s, and was completed when the Great Depression was in full swing. When it opened, only one fifth of the Empire State Building was occupied. In fact, it was not until 1950 that it started to break even. Even today, approximately thirty-percent of the building remains empty. – Russky Bridge: in Eastern Russia, not far from the borders with North Korea and China, across the sea from Japan, is the city of Vladivostok. The city is the home port of the Russian Pacific Fleet. In 2007, the city was chosen as the site for the 2012 Asia Pacific Economic Conference. Vladimir Putin ordered the construction of a $1 billion cable bridge to connect mainland Vladivostok to Russky Island, where the conference was to be held. The bridge, which would rival the Golden Gate Bridge in San Francisco, would show the world what Russia was capable of, Putin thought. What Putin did not bear in mind, however, was that the Golden Gate Bridge, like any other bridge across the world, connects major population centers. Russky Island, with just 5,000 residents, is not what one would call a major population center. The bridge was built to handle more than fifty thousand cars each day. As far as the conference delegates and reporters were concerned, the bridge was great – it made it extremely easy and convenient to get to the island from the mainland. However, after the conference had ended, traffic vanished nearly completely. Russian authorities are hoping to turn the island into a tourist attraction – an idea that has not yet materialized. This Top Tenz video looks at the top ten white elephant construction projects – projects that were huge wastes of time and money.